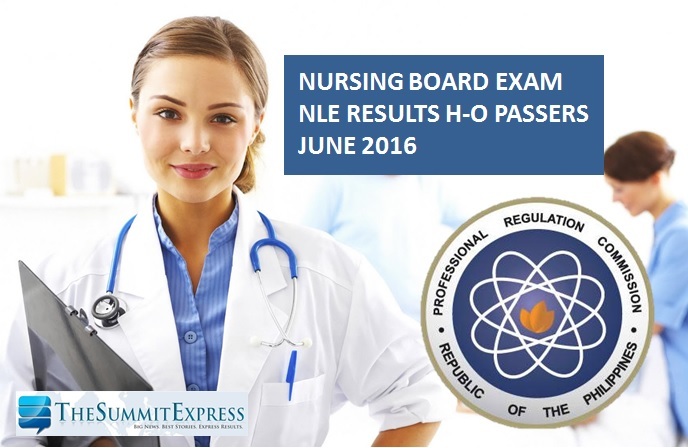 The Professional Regulation Commission (PRC) and the Board of Nursing (BoN) officially announced today, June 17, 2016 that 6,183 out of 14,184 examinees successfully passed the nurse licensure examination (NLE) or nursing board exam given last June 5-6, 2016 in several testing centers all over the Philippines. The complete list of passers for nursing board is now available online. View on this page the alphabetical roll of passers for H to O Surnames.